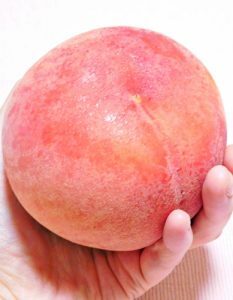 This is Japanese peach, a season of peach in Jun – Aug. Taste is delicate sweetness and juicy, also quality is delicate too. 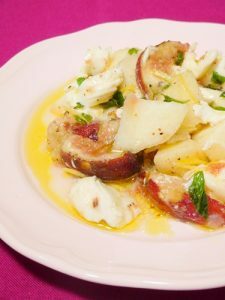 Peach salad with mozzarella cheese. 1 for 2 peach cutting a bite sized. 2 for 3 figs cutting a bite sized. 1tsp Lemon zest a tiny chopped. Handful basil or mint leaves. a little grind black pepper. a medium bowl into dressing ingredients, then combine well. cutting fruits, lemon zest and basil or mint leaves into the bowl, then tossed. 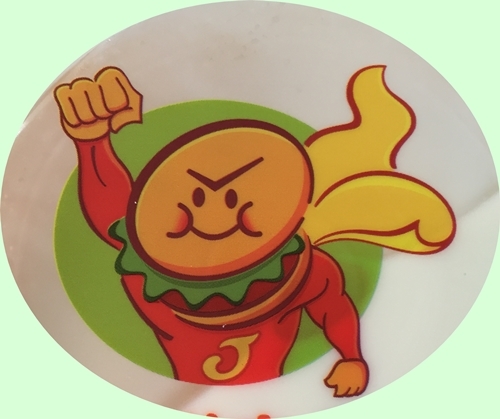 You should peach into the bowl after make a dressing, because peach is getting change a color soon! 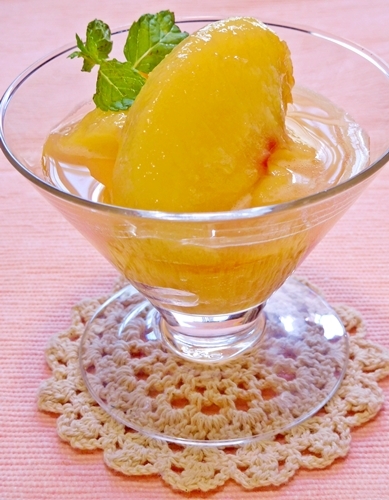 another day, I made a peach compote. 1 peach cutting a bite sized. 2 or 3 tbsp caster sugar sugar. 1: the source pan into peach and caster sugar, then waiting 10 min. 2: add white wine into the source pan, then low heat to a boil 15 to 20 min. 3: add lemon juice into the source pan, then 2 min boiled. 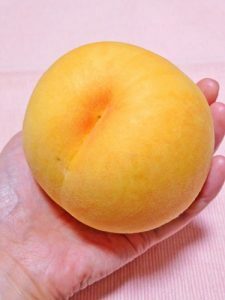 This is Japanese yellow peach.